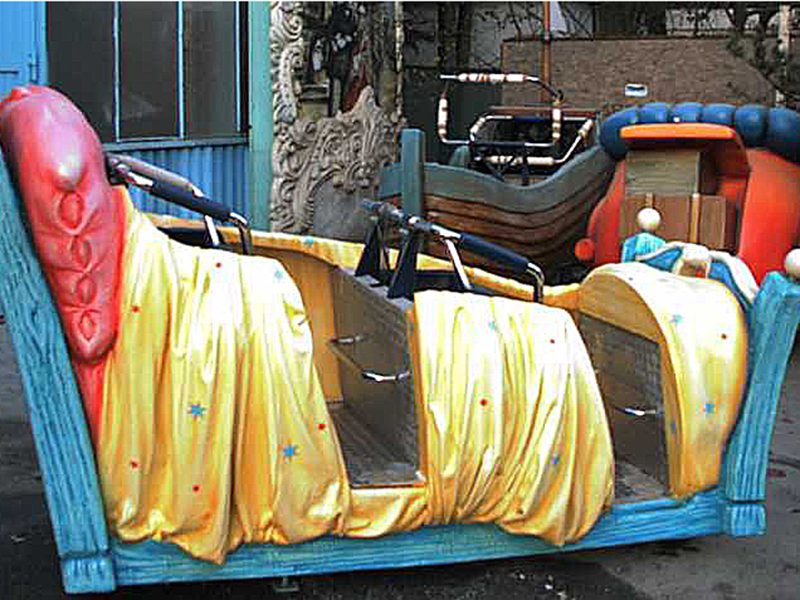 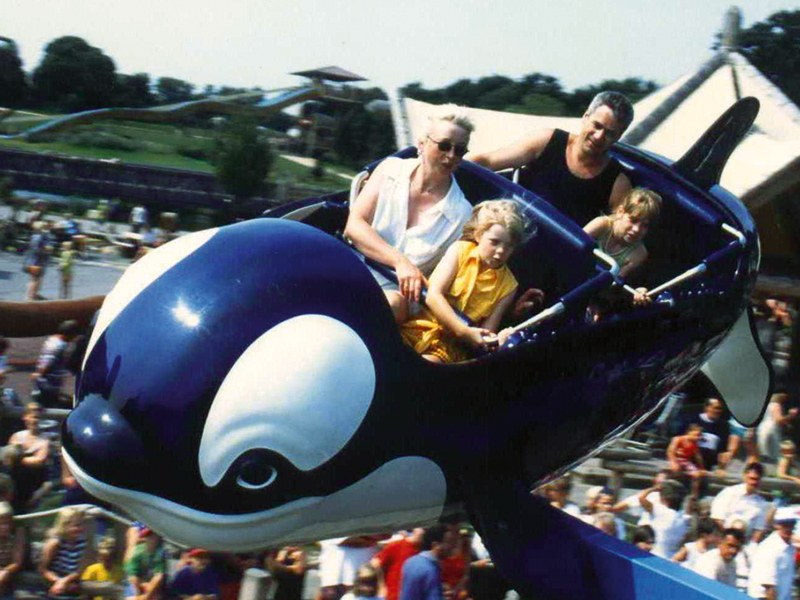 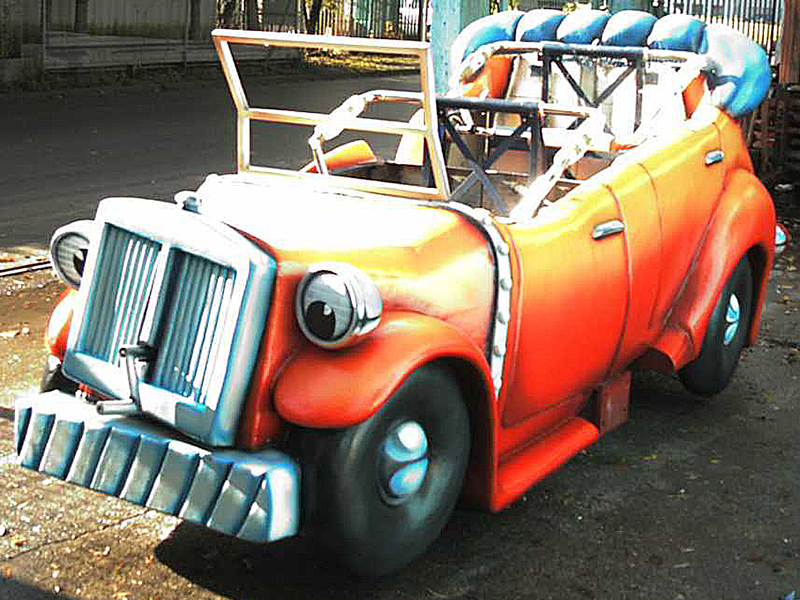 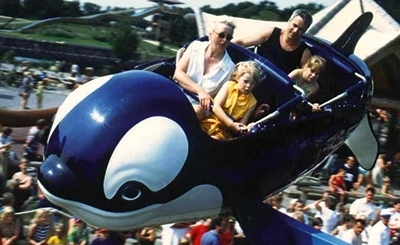 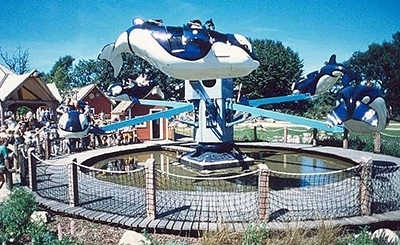 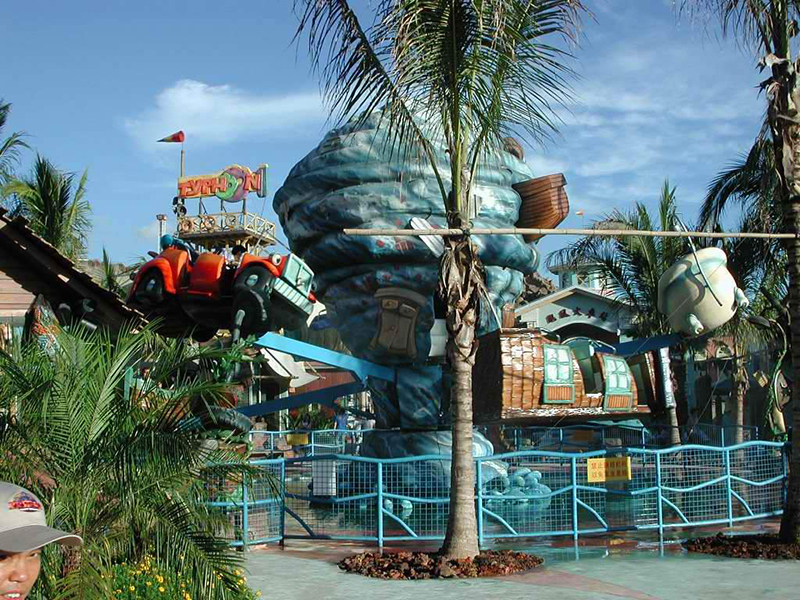 FLY WILLY is one of the HUSS® Family Rides with interchangeable parts, a small footprint and no need for special foundations. 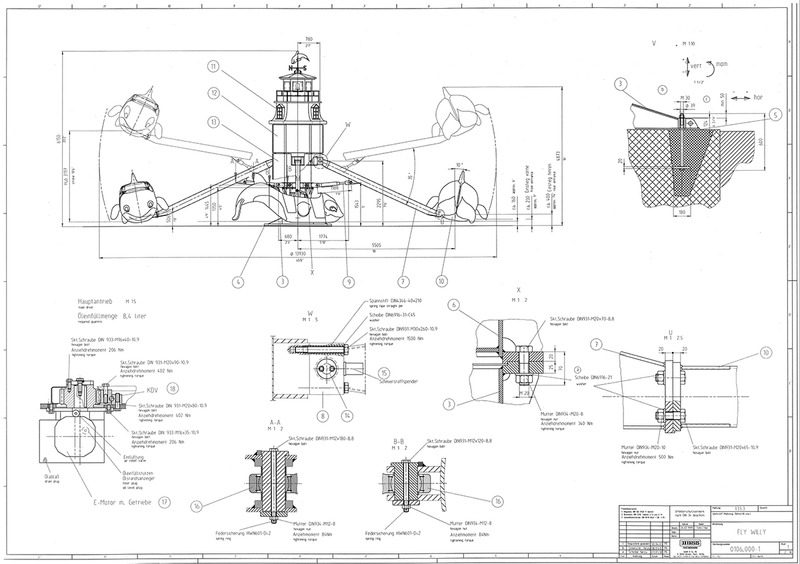 It is compact, of modular design, easy to maintain and can be relocated very easily. 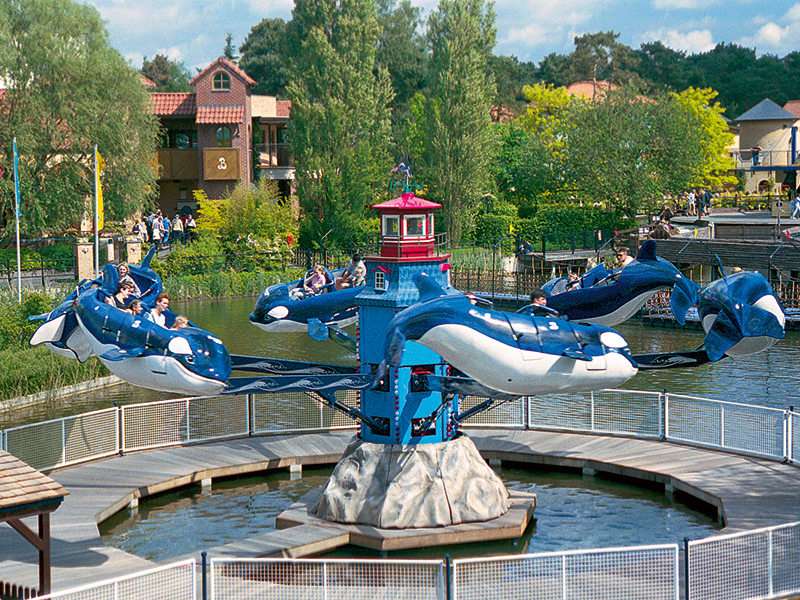 Six rotating, up and down lifting cantilever booms each carry a gondola for four passengers, providing a capacity of up to 24 passengers. 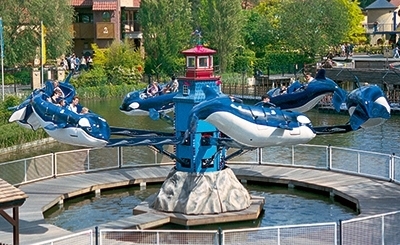 The central structure is decorated as a lighthouse while the gondolas are decorated as friendly smiling Orcas. 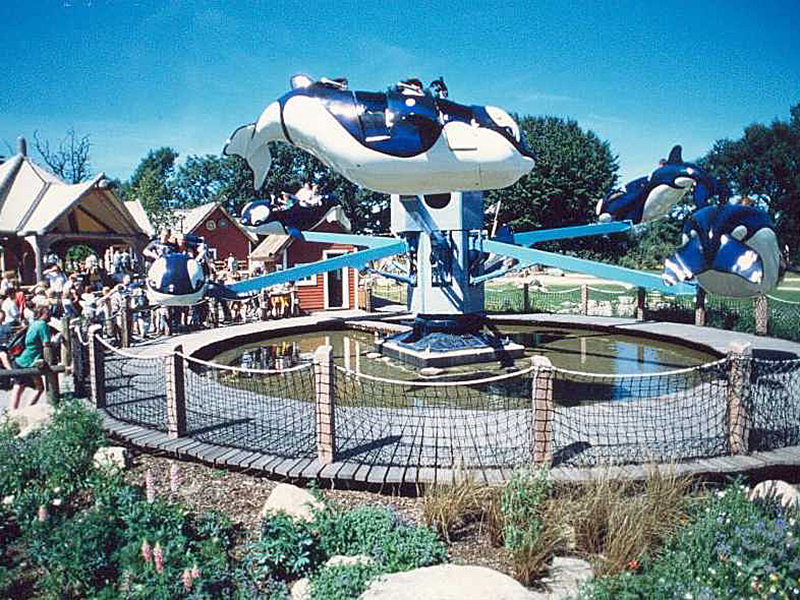 The smooth, gently moving whales are charming, eye-catching and very attractive to children making this a popular attraction.